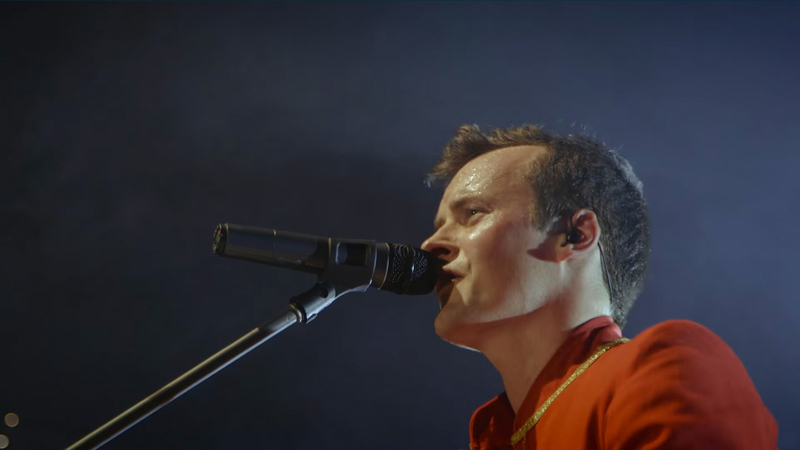 Following the September release of their new album, Full Color, the Prince Edward Island-based rock band, Paper Lions, are on fire. Since the project hit the shelves, the rockers have embarked on a tour, hitting up concert halls and music venues all across Canada. Members John, David, Colin and Rob spared some time in their busy schedules to give us an exclusive behind-the-scenes look at what went on at their stops in Ottawa, Montreal, and Toronto. In an intimate look of their life on the road, the four-piece has captured personal snapshots of sweet pastries, frisbee games, and meet-ups with old friends—along with their own personal commentary. So, if you ever wanted to know what it was like to go on tour with this multi-talented band, check out these photos below! And while you’re at it, listen to their newest album below and track Paper Lions on Bandsintown to see them when they're in a city near you! Living on Prince Edward Island, on Canada's far east coast, we are familiar with long drives to start a tour. The first few stops on this tour were no exception. Ottawa, Ontario is a 14 hour drive from our hometown of Charlottetown, Prince Edward Island. As per usual, on the long drive, everyone employed their own earbuds and personal devices to create some semblance of privacy, listening to podcasts and music, to pass the time. 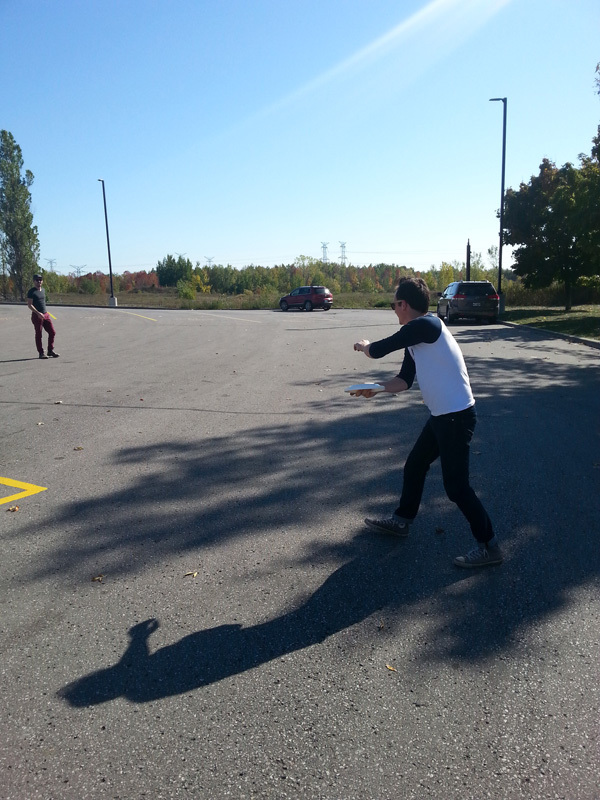 Life inside the tour van is fairly mundane; however we did have a Frisbee on this tour which provided some needed exercise mid way through the days drive! 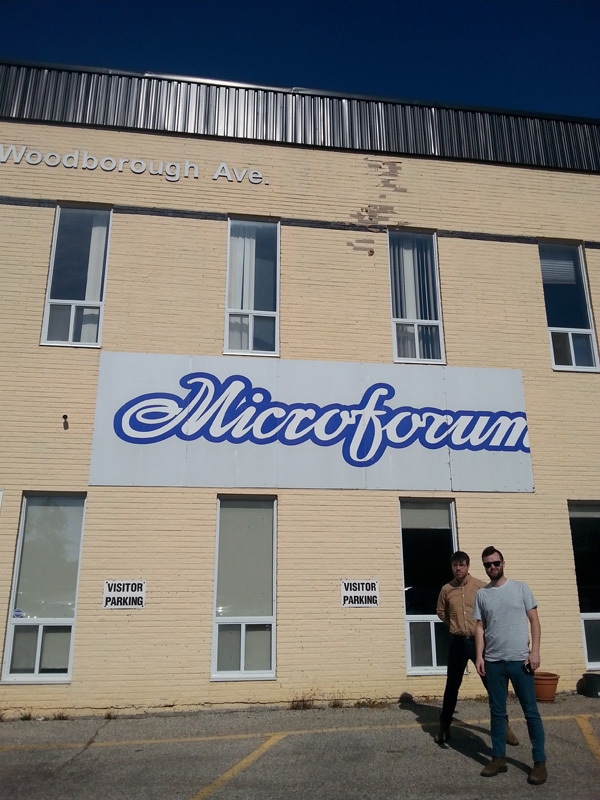 After making a quick detour to pick up the latest pressing of Full Colour vinyl, (which turned out amazing! Each one comes with a full 14-page colouring book insert! 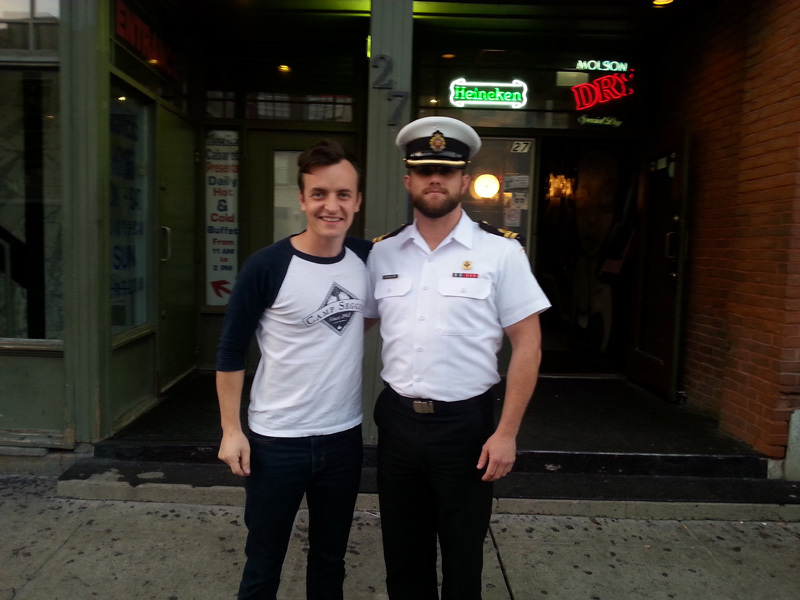 ), we made our way to the evening's venue, Zaphod's. There is a vibe in our nation's capitol that is hard to pin down. Music fans in the city seem to be either a little reserved, or a little crazy :). At Zaphod's that night, it was definitely the latter. The energy in the room was palpable. The audience sang, danced, and clapped along with us all night. It was especially encouraging to see so many fans who knew the songs from Full Colour. There's always a sense of anticipation with new songs; after the first few opening bars, you look for that cheer of approval due to familiarity, and with each new song that night, the crowd roared their approval! Between the band members, we have friends and family living all across the globe. One aspect of touring that we all love is being able to connect with those people. Although it was a short visit, I got a to catch up with Tyler, an old childhood friend and it was really nice to see him. 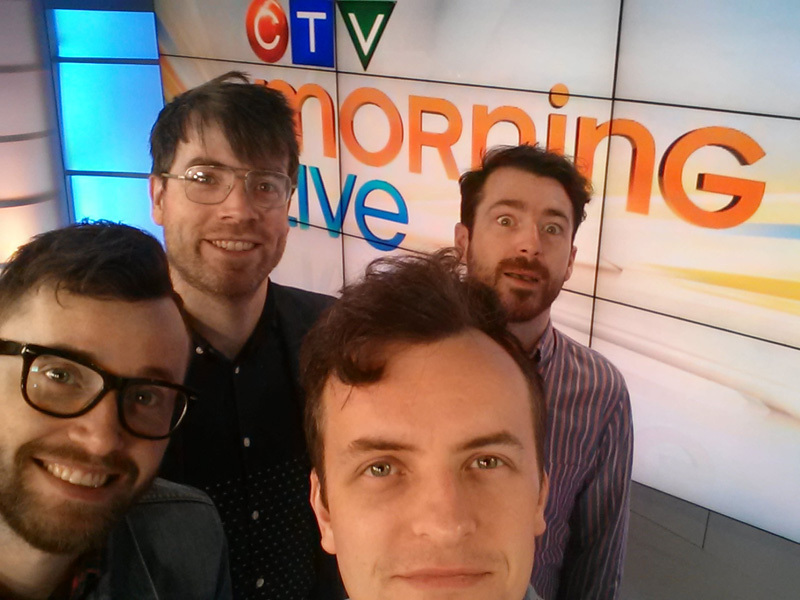 The next morning, we woke far too early to head to the CTV studios for a breakfast television performance and interview. The free coffee and doughnuts were nice. Sleeping back at the hotel would have been nicer :). Montreal is a short, 2 hour drive from Ottawa and we so arrived at Theatre Fairmount with lots of time to spare. The venue that night was beautiful; the owners clearly had put a lot of love into getting the room just right, and it was a pleasure to perform there. 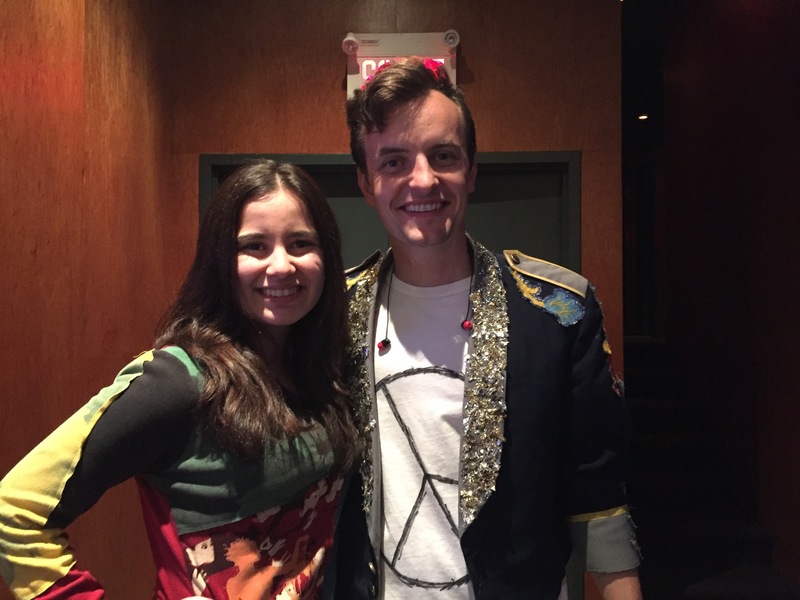 After the show, a young girl named Maria came over to the merch table to introduce herself to me. Growing up in Bogota, Columbia, she discovered the band through our song "Travelling" on YouTube. While she was a big fan, she assumed that due to the distance between us, she would never be able to see us perform. However, just a few months prior to our show, she decided to take part in an exchange to Montreal. When she heard we were coming to perform in the city, she made sure to get a ticket. I'm so glad we were able to perform for her! 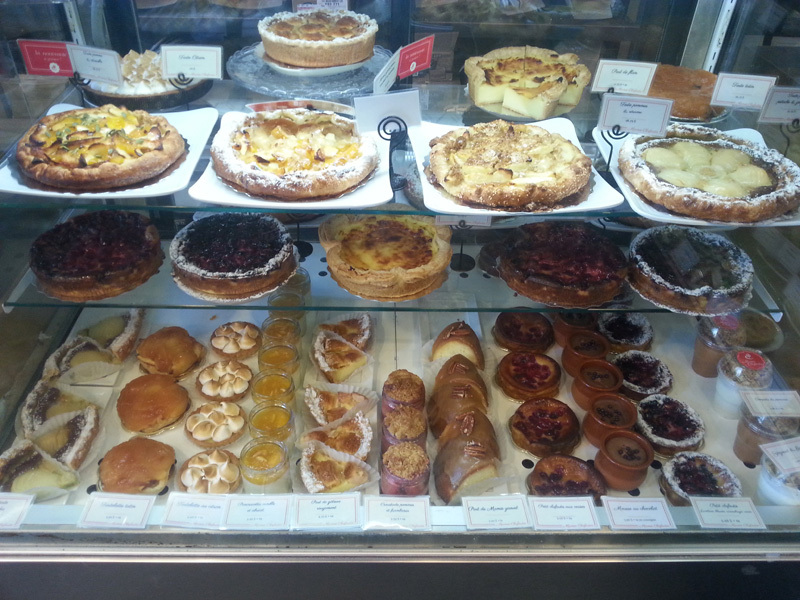 I love a delicious pastry and Montreal is full of fantastic pastry shops! Mamie Clafoutis was a short walk from our hotel, so I made sure to stop in before departure that morning. I'm glad I did! I went for the classic croissant, as well as an apple pastry and both brought me great joy :). Performing has always been something we've taken seriously, however for the Full Colour tour, we knew we wanted to raise the bar of the live show to correspond to the level of time and effort we put into the recording. 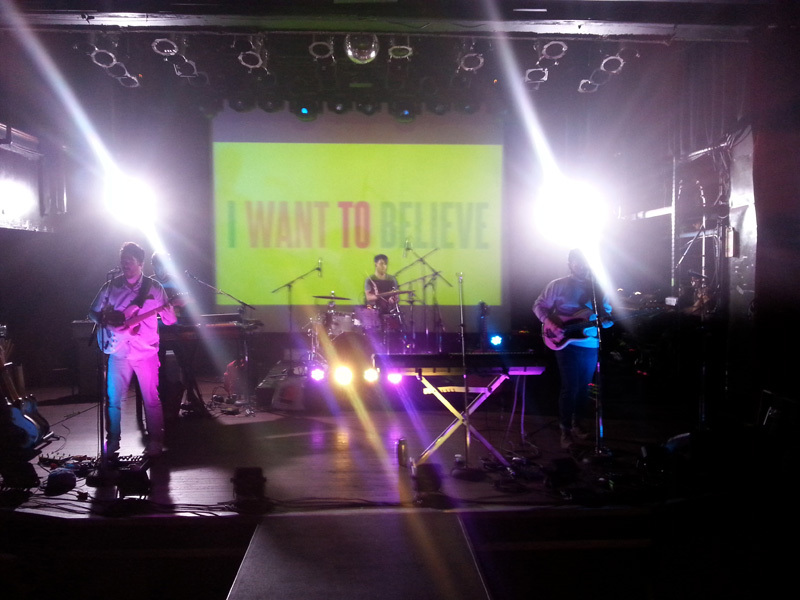 The venue in Toronto was the perfect room to put on our new show; projections, catwalk, programmed light show, confetti, disco ball and more. From the moment the doors opened, people began piling in, and by the time we hit the stage, the room was packed. There was a real sense of anticipation in the air, and from the moment we stepped on stage, the room lit up with energy. Toward the end of the night's first song, I walked out on the catwalk, and asked the crowd "we're here for you, are you here for us?" They responded with a resounding "Yaaaaaaaaaa!". I think they meant they were. For the next hour and a half, we gave it everything we had, and so did the audience. It was definitely one for the books!